Bluff Oyster Festival (22 May, 2010) ya gotta go! And when you do, because it’s way down there, stop off at CentrePoint on Colombo Motel for a well earned rest. That’s what one of our guests did! He ate 10 dozen, that’s 120 oysters while he was at the festival. Of course he had some packaged oysters to take home for the family and when he was quizzed about whether they would actually make it home, he said, “no problem, I’ve eaten too many.” Yup, 120 oysters in a day, now that’s too many! Bluff is the port town at the very south of the South Island and is the gateway to Stewart Island – a magical paradise! It is also home to the Bluff Oyster Fleet and they trawel the seabed for a rather limited period each year to bring naturally grown oysters to oyster lovers all over the country. The further you go north, the more expensive a dozen oysters is and planes have been known to be delayed to make sure that day’s catch gets to market! These oysters are serious business. The festival has been going for 13 years now and this year 5000, and only 1850 odd people live there! Together they ate 20,000 oysters. That’s 4 each. Not many really. And if your think of our guest who ate 10 dozen, that means some people must have eaten meat pies. Tell us your story on the way home from next year’s festival! 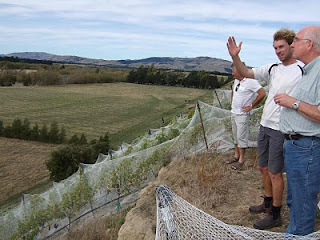 New Zealand has some great wines but have you actually picked your own grape from the vine and experienced the original flavour - I did, thanks to Discovery Travel’s Waipara Wine Tour which can be booked at CentrePoint on Colombo Motel Reception, and it’s a great deal at $105 for the afternoon – including lunch, and wine tasting! The day was sunny and warm and it was just a short 45 minute drive to the Waipara area. 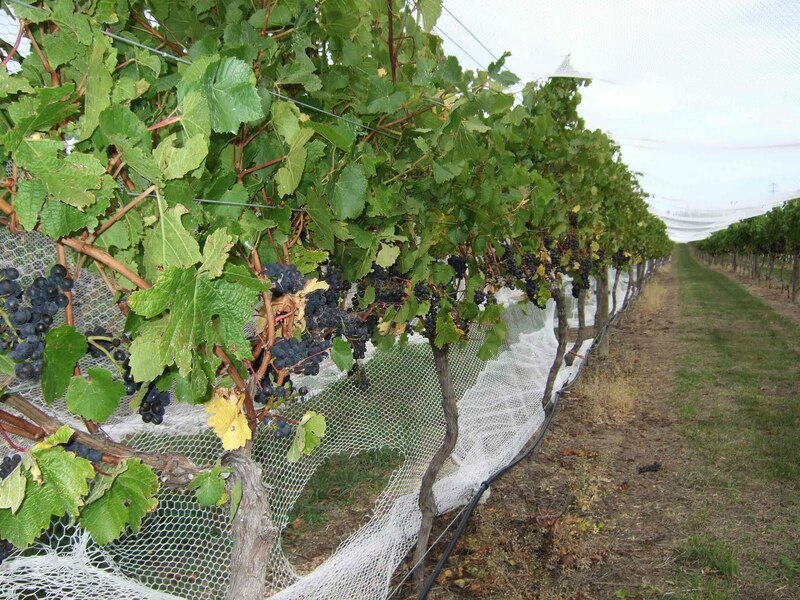 On the way I learned about why the land that was barren when I was a kid is now covered in grape vines! This ½ day Wine Tour visits 4 award winning wineries – it depends on the day which ones you actually visit. 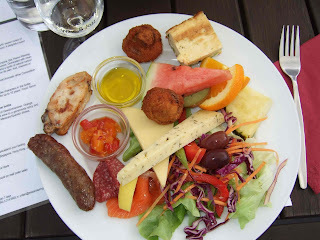 We had lunch at the first winery – a myriad of local delicacies and flavours – delicious! And wine to match. Over the day there were 25 odd wines to be tried – Wow! 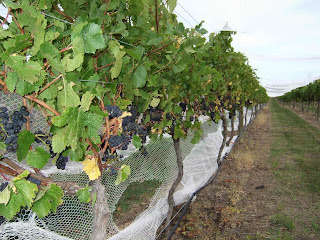 This time of the year (end of March) was just before vintage – wine talk for time to pick the grapes! 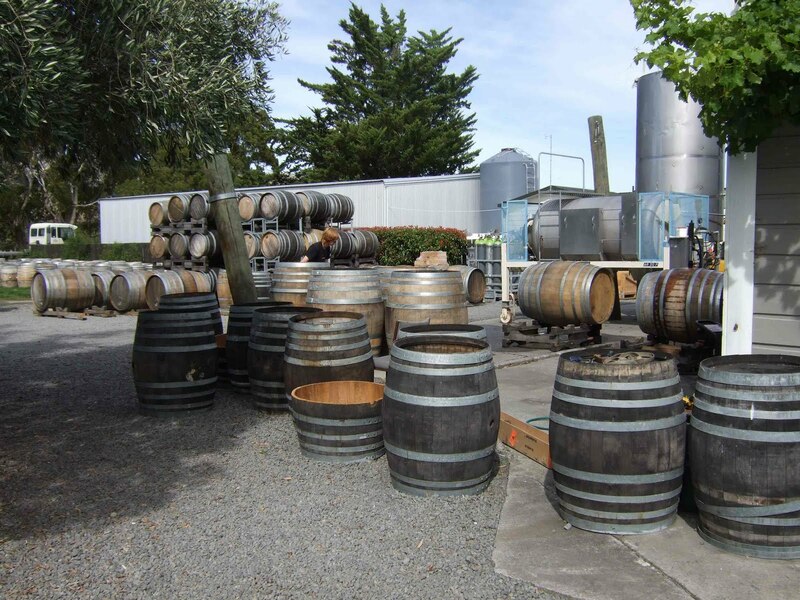 And while we were having lunch the barrels were being readied for this year’s process – really made the atmosphere! At the second winery we stumbled across a mine of information person and were baffled by his knowledge and willingness to put up with all our ‘really want to ask’ questions. At the 3rd. winery we headed to the vines and sampled the ripe product and had a look at their north facing slope planted in Shiraz vines – my favourite! The 4th and last winery had a beautiful garden and also served up great coffee! After 4 wineries and 4 different experiences it was a most relaxing ride back to Christchurch. Christchurch has just been appointed as one of the Great Wine Capitals – by The Great Wine Capitals Global Network - an alliance of just 9 cities, including Bordeaux and Florence. What does this mean? There’s great wine to be had only a short drive from Christchurch – and you can experience it all with a world class wine tour.